With it originally branching off from the traditional swing dance Lindy Hop, West Coast Swing is an an urban, smooth, and modern style of swing. A main characteristic of the dance is its “slotted” format. Picture a small train track and the follower is travelling along that track. The basic steps are made up of 6 and 8 count rhythms, which include an “anchor” step at the end of the slot. The dance has evolved considerably over the years and is extremely accepting and encouraging of individual expression. The follower is many times given opportunities to embellish with her own style within what is being led. West Coast Swing has its roots in Blues music. It has, however, evolved to be a fun and expressive dance to so many other genres including R & B, Pop, Jazz, Hip hop, Rock, and pretty much anything that is in 4/4 time with a moderate tempo. It’s not as fast as the old swing/Jitterbug or Jive music. 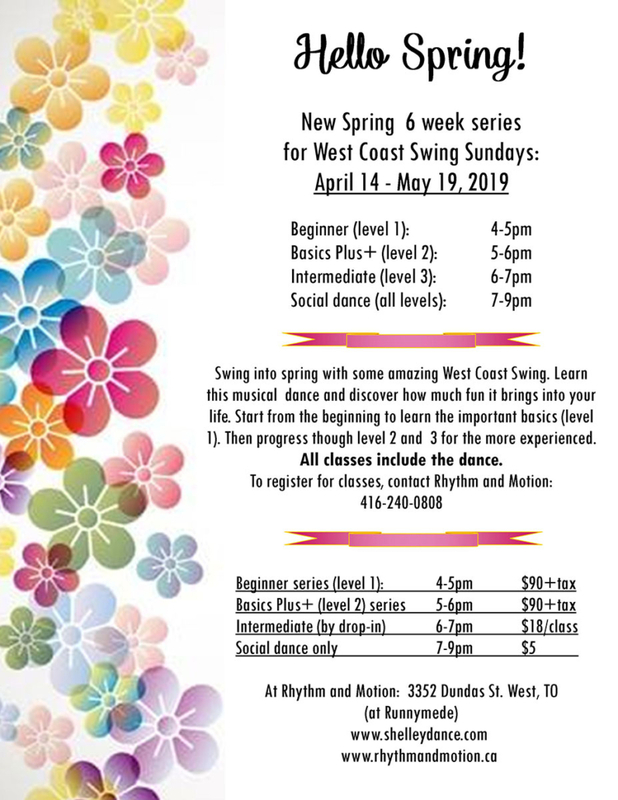 West Coast Swing is taught by Shelley Saxena. For more information about Shelley, visit her page here.